Chelsea face Arsenal in the Capital One Cup, with Blues boss Jose Mourinho more than capable of selecting an imperious line-up of international stars – despite his complaints. Chelsea take on Arsenal in the Capital One Cup this evening at Emirates Stadium, with Jose Mourinho set to select a strong line-up. The Blues boss was not particularly delighted with the short time between his side’s Premier League fixture against Manchester City and this game, but such is the depth of the Chelsea squad that he ought to be able to pick a team more than capable of winning the match. 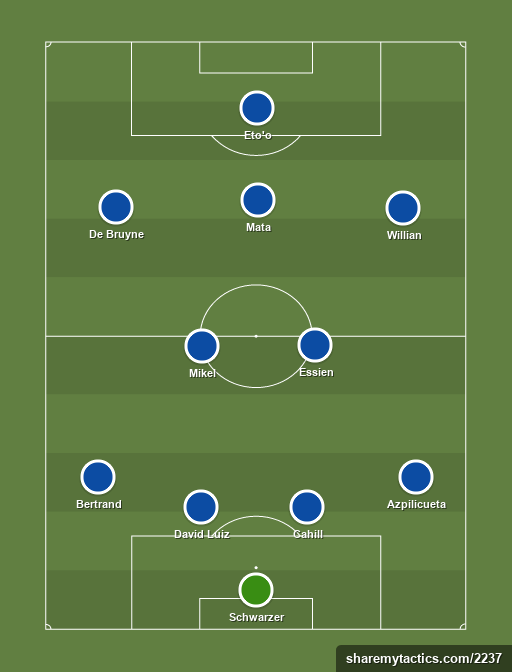 Mourinho could afford to leave the likes of David Luiz, John Obi Mikel, Juan Mata, Willian and Samuel Eto’o on the bench against City, and each can be expected to play their part against the Gunners. Whilst the Capital One Cup is tended to be regarded as something of a proving ground for young players – and Arsenal certainly follow that policy – but Chelsea are able to choose from plenty of international players, and will be favourites to win at Emirates Stadium. View the expected line-up to take on Arsenal in the graphic below.